Pamela Stewart is Research Associate at the University of Pittsburgh. She works on human identities and life histories, farming practices and national identity, patient/physician communication, religious change and sorcery, forms of violence and its impact. Her areas of interest include the U.S., Europe, and Papua New Guinea. Andrew J. Strathern W. Mellon Professor at the University ofPittsburgh. His interests include the analysis of political and economic systems in small-scale societies, kinship theories, social change, religion,symbolism, ethnicity, legal anthropology, conflict and violence, the anthropology of the body, and the cross-cultural study of medical systems. 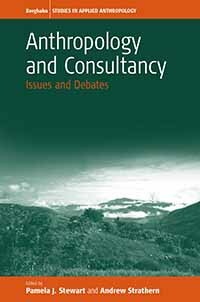 Stewart and Strathern have co-authored many articles and books, including Empowering the Past: Confronting the Future (Palgrave, 2004), and Witchcraft, Sorcery, Rumors and Gossip (Cambridge University Press, 2004). Recently, they have co-edited, Landscape, Memory, and History (Pluto Press, 2003), and Contesting Rituals (Carolina Academic Press, 2005).